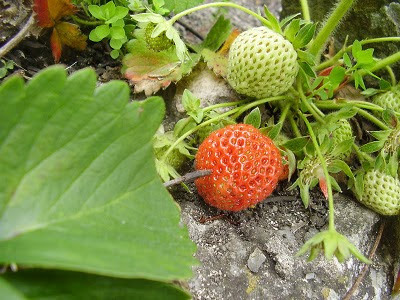 I've just enjoyed the first strawberries of the year - lots more to come as they ripen - can't wait ! I've been hard at work in the garden planting peas, french beans, spinach, broccoli, salad leaves, cucumbers, squash, pumpkins, tomatoes and sweetcorn. 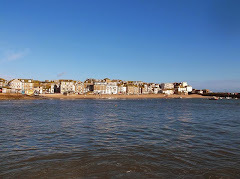 I've been included in the programme for 'Secret Gardens Of St Ives' which is on Saturday 12th and Sunday 13th June. So please do come along if you'd like to take a look - just don't expect a "show garden". This is definitely a "working garden" and a work in (permanent) progress. Also - one idea that I've had today is to set up a website for a local veg / plant swap scheme. Like most gardeners I'll probably end up with a glut of some things later in the year, while other plants don't produce as much as I'd like. Let me know what you think. Right now I've got loads of Jerusalem Artichoke plants if anybody wants some.